Remember the Italian Infused Chicken we made the other day? 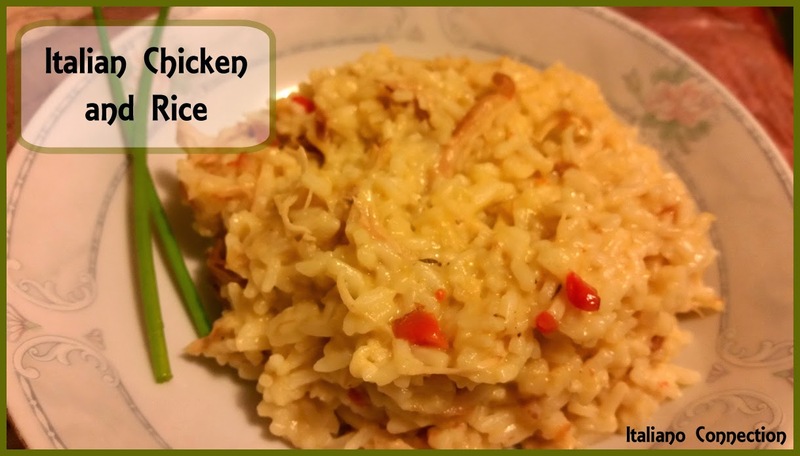 Well, here is the quick and easy recipe for a busy night during the week using the delicious chicken we made up on Sunday for other delicious meals during the week. Do you recall the Campbell's Chicken and Rice dish we ate as kids? This is a spin on that, but it has superior flavor and more nutrition. In a large saucepan whisk together the first 7 ingredients until well mixed. Turn on heat to med and bring to a boil, whisking occasionally to keep from burning. Add a portion of your Italian Infused Chicken with soffitto and broth, stir and bring to boil again. Stir in rice, remove from heat and cover. Let set for 5 minutes, stir again, recover and allow to set another 5 minutes. Stir and serve warm and sprinkle with optional Parmesan Cheese.